On Sunday 9th July 2017 UNESCO announced that the Lake District had been awarded the ‘inscription’ as a World Heritage Site (WHS) on account of its cultural landscape. I suspect that the vast majority of the 17 million visitors to the Lake District last year will not be surprised by the new designation and will welcome it. It is the culmination of 31 years of hard work by a consortium of people and organisations led by the National Park Authority. 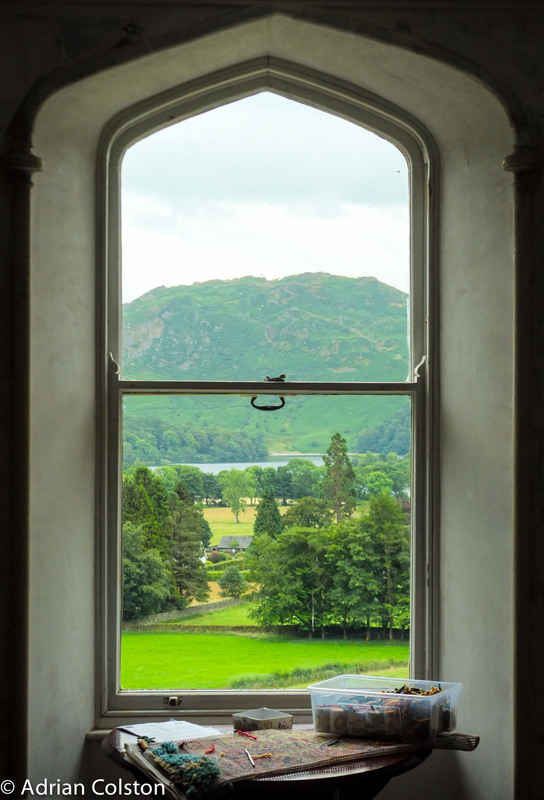 The Lake District is loved and visited by so many people because it is spectacular and beautiful – a mix of lakes, mountains, fells, small walled fields and woodlands. A landscape moulded by thousands of years of man’s grazing animals – thus its designation as a ‘cultural landscape’. A landscape is the interface where nature and people meet, the people in this case are the hill-farmers of the Lake District. I don’t claim to be an expert on the Lake District but I do know another cultural landscape pretty well – Dartmoor and the two places have much in common. I imagine that hill-farmers across the whole country will be celebrating the Lake District’s designation as a cultural landscape WHS as it officially recognises their role along with their forebears in creating what is now considered so special. Dartmoor may not have the ‘designation’ but hill-farmers on the moor will rightly make the connection that they and those that went before them are responsible for another National Park which is treasured by the public at large. The WHS designation therefore cements in place the notion that the Lake District is an open grazed landscape managed by hill-farmers to produce a wide range of public goods such as public access, biodiversity, conservation of key archaeological features, water and carbon management and high quality food production. It is perhaps strange that it appears to have taken a decision by UNESCO to arrive at this point – the 1995 Environment Act re-defined the role of National Park Authorities and charged them with the conservation and enhancement of the cultural heritage in addition to their other duties. National Parks’ cultural heritage includes for example their archaeology and buildings but also includes the distinctive customs and traditions of the people who have created the landscape. For decades though hill-farmers have felt an endangered species as they perceived that the statutory bodies cared more about nature than them and their traditions, customs and livelihoods. The 1995 Act, despite much effort has only made modest progress in making hill-farmers believe that people are as important as nature. The WHS designation embodies this notion further. This is not the end of the story, rather the opening of a new chapter as there is still much to do and resolve. Perhaps, two of the central issues at stake in the Lake District and our other upland areas are how do we support hill-farmers who are unprofitable without subsidies (especially now as we are leaving the European Union) and how do we restore ecological habitats following decades of unsustainable, but highly contested, sheep grazing practices. 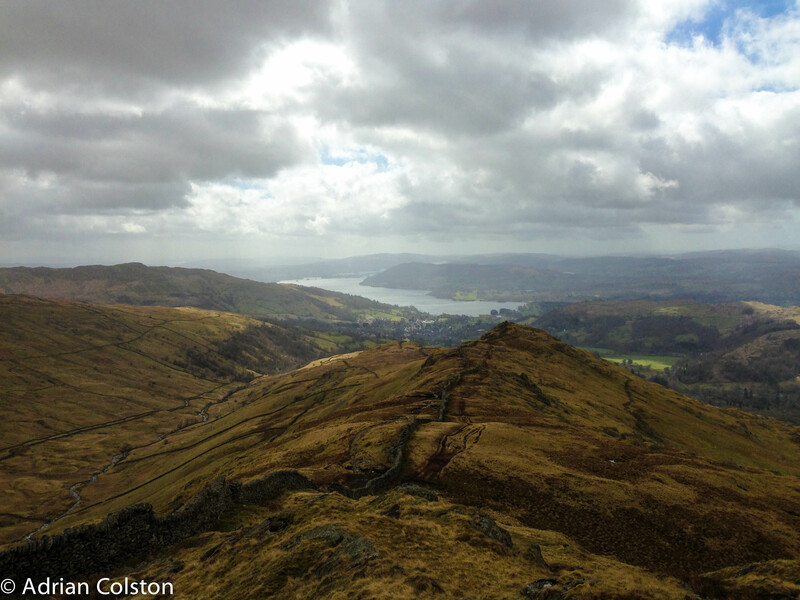 However, the celebrations of the Lake District’s new status have not been universal. George Monbiot, the environmental campaigner and journalist has campaigned against the WHS designation (see here), reacted furiously to the news (see here), calling it ‘a betrayal to the living world’ and he lambasted the conservation organisations which had supported the bid. Monbiot believes that sheep are the root cause of the problems in the Lake District (and elsewhere), that they should be removed and that the hills be allowed to re-wild. He considers that now the Lake District has been designated as a cultural landscape any prospect of improving habitats for nature have been lost. Is he right and should the conservation bodies such as the National Trust, RSPB and Cumbria Wildlife Trust have campaigned against the designation? I don’t think Monbiot is right and I do think that the conservation bodies were right to support the bid. I don’t think that the designation of the Lake District as a cultural landscape is an impediment to ecological restoration. The upland habitats which existed before the Second World War which are so cherished by conservationists were of course created in the first place by extensive upland grazing. Yes of course following the War UK / EU Agricultural Policy encouraged increased stocking densities to unsustainable levels and the subsequent agri-environmental schemes are attempting to redress the balance but the traditional narrative that overgrazing by sheep is the reason for the ‘unfavourable condition’ of our upland habitats is over simplistic and misleading. Ecologists and conservationists have consistently failed to take into account the role played atmospheric pollution particularly nitrogen deposition (see here and here) and ozone concentrations (see here) along with the consequences of rising carbon dioxide levels and climate change. Atmospheric pollution and climate change are not simply obstacles to be navigated around as part of the restoration process they are instead responsible for driving the changes in upland habitats and help to explain why the detailed ecological prescriptions put forward, in good faith by English Nature and then Natural England, failed to deliver ‘favourable condition’. As a result, upland habitats have changed and will continue to change. And that is why the conservation bodies needed to be involved in the WHS consortium. Hill-farmers, conservationists and the statutory bodies need to work much more closely together to understand where they now find themselves and how to devise solutions to move forwards. That is not a comment aimed solely at the Lake District it applies to the uplands everywhere. Then comes the massively important matter of the economics of hill-farming post Brexit. The Government by supporting the WHS bid have signalled that they want to see farming in the hills. Again hill-farmers, conservationists and the statutory bodies need to work together to enable the best deal for hill-farmers and other land managers to be struck in the ‘public money for public goods’ debate. For without that settlement being financially viable there will be no hill-farmers in the future. Monbiot may argue that is desirable but I disagree. I have been re-reading James Rebanks’ book ‘The Shepherd’s Life’ which details beautifully the culture and traditions of the Lake District hill-farmer. To me these cultures and traditions along with the Herdwick sheep, the intricacies of their breeding regimes and the agricultural shows where successes are valued and celebrated are as important a part of our history as heather, peregrines and stone circles and as such it would be a tragedy if any of them were lost. So how does this debate on rewilding fit into the Dartmoor landscape? There are of course some who specifically advocate a full blown rewilding approach with re-introduced herbivores and carnivores. I, however, do not support such an approach here as it would lead to the loss of Dartmoor’s historic landscapes (its reeves, hut circles, standing stones, stone circles, pillow mounds, tin mining artefacts, medieval farms etc etc), it would lead to the loss of Dartmoor’s cultural landscapes (the Commoners, the Commons and the tenements etc etc), it would lead to the loss of Dartmoor’s existing and ecologically important habitats and species and it would lead to the loss of Dartmoor’s landscape with its ‘long views for which Dartmoor is renowned‘ (Ian Mercer’s words in his 2009 Dartmoor Collins New Naturalist, page 27). That is not to say that everything should remain as it is. Matthew Kelly writing in the updated paperback edition of Quartz and Feldspar (2016) perhaps makes the best case for what could happen in the future. This is where he introduces his phrase ‘soft rewilding’. 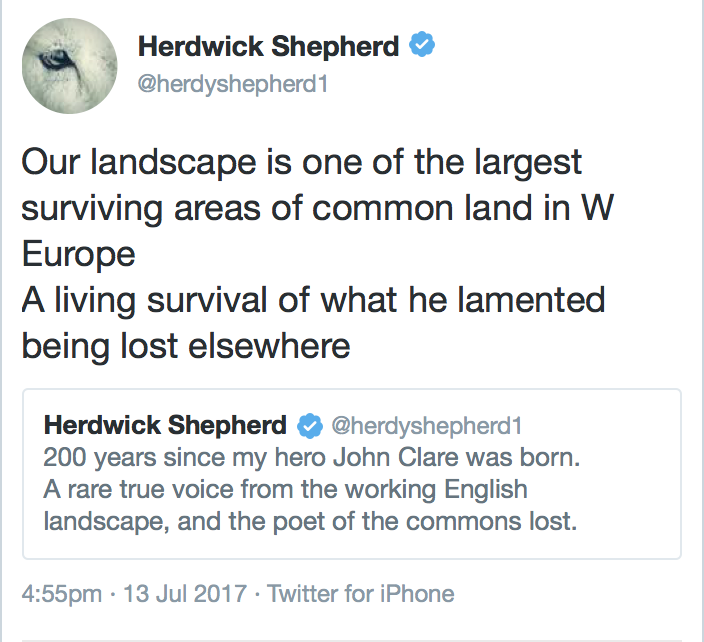 I agree with Matthew – I would like to see a bit of soft re-wilding in the uplands. Gaining consensus in the uplands, especially in National Parks will always be challenging as there are so many different groups all wanting different things. As the century unfolds it will become more difficult as the climate changes and reconfigures the landscape. 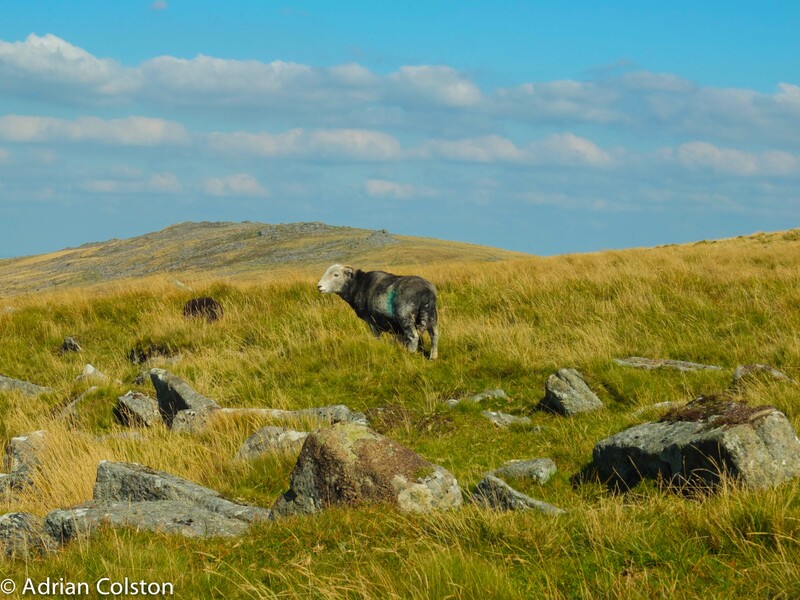 Globally peatlands and blanket bogs are threatened by climate change and Dartmoor is one of the most vulnerable peatlands in the northern hemisphere on account of it latitude and relatively low altitude. The climate on Dartmoor may have already shifted enough so that the bioclimatic envelope required for the formation of peat is no longer available, except at the highest altitudes, as the peat formation process requires a cool and wet climate. By the end of the century the bioclimatic envelope in the Lake District will also be unsuitable. (Gellego-Sala et al 2010). 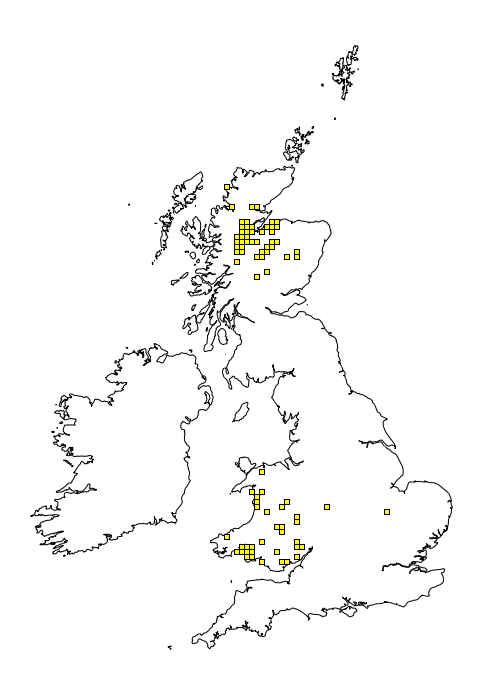 By 2100 there is the potential for much change in the uplands, many of the bird species which are today considered to be iconic of National Parks are predicted to disappear, for the moors these are dunlin, golden plover, ring ouzel, curlew, raven, peregrine, hen harrier, red grouse, black grouse and whinchat (Huntley et al 2007). These challenges all need to be addressed, for example whither ‘favourable condition’?, but progress will only be made if everyone works together. This includes fighting atmospheric pollution – the scourge of our cities as well as our countryside along with climate change. Of course atmospheric pollution and climate change are different sides of the same coin and are the biggest challenges we now face. Huntley B., Green R.E., Collingham Y.C. & Willis S.G. (2007) A Climatic Atlas of European Breeding Birds. Durham University, The RSPB & Lynx Edicions. Barcelona. Kelly M. (2016) Quartz and Feldspar. Revised edition. Vintage. London. Mercer I. (2009) Dartmoor: a statement of its time. Collins. HarperCollins. London. The Uplands Alliance held a meeting yesterday in Cumbria about the future of the uplands after Brexit. Dame Helen Ghosh, the Director General of the National Trust was one of the speakers. 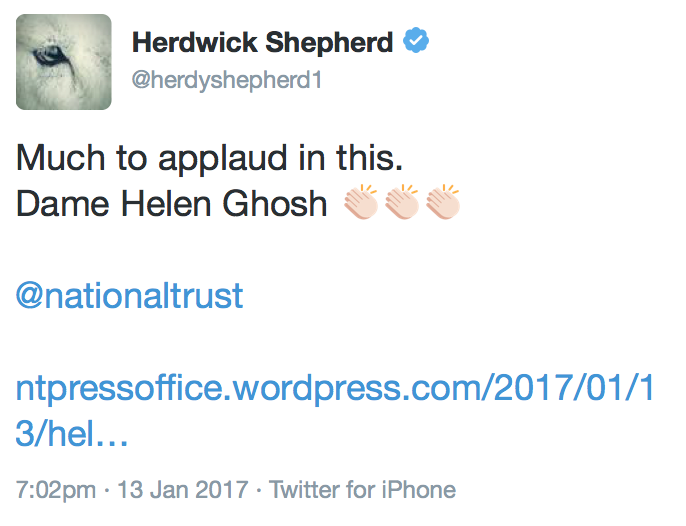 The National Trust and various Cumbrian farmers have recently been involved in a very public spat over Thorneythwaite Farm – see here and therefore this speech by Ghosh appears to have gone a long way to re-build bridges. The Environment Agency have just published a document on what has happened in Cumbria since devastating flooding caused by Storm Desmond in December 2015. 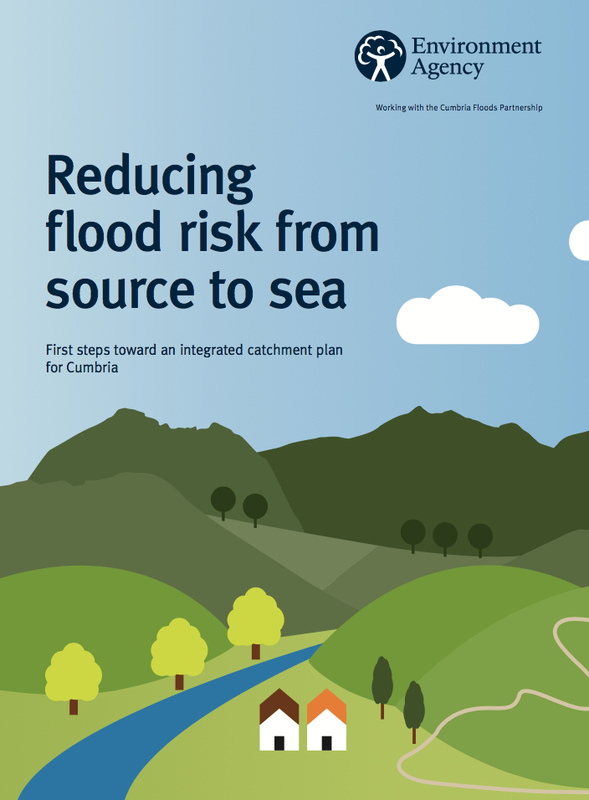 It is called Reducing flood risk from source to sea: first steps towards an integrated catchment plan for Cumbria. You can download and read it here. I’m very pleased to see ‘Upstream Thinking’ as one of the themes. Although at this stage (understandably) the detail is rather thin the document does talk about “land-management techniques such as soil aeration, bunds, leaky dams, woodland creation and river restoration to absorb water and slow the flow in locations across Cumbria” and “restoring at least 350 hectares of high priority peatland to absorb water upstream of communities, and we are creating natural flood storage areas upstream”. I will be interested to see what reaction there is to this document from Cumbrian communities, farmers and organisations such as the National Trust (who own a great deal of the land involved). My heart goes out to all the people and communities in Cumbria and southern Scotland who have been impacted by the dreadful flooding. In addition the National Trust is a major landowner in the Lake District (we own around 25%) and I personally know many of the Rangers and General Managers up there. I can only imagine how stressful everything must be and how disheartening it will be to see so many places and projects damaged by the flood waters. The National Trust’s property at Fell Foot on Lake Windermere on Sunday – I was at a meeting in this building 18 months ago (photo from https://www.facebook.com/ntfellfoot/) You can find out more here about the flooding in the Lake District and how it has affected the NT. Much has been written already about Storm Desmond and no doubt a great deal more is to come. I have heard a number of politicians understandably saying that we must never let this happen again. I fear though that those words will be easier to say than achieve. The questions therefore that need to be answered are why did it happen and what can we do to better protect places and people? I guess the obvious needs to be stated – there was a huge storm….. in my blog yesterday I set out a few of the startling statistics provided by the Met Office and the Environmental Agency. I also quoted the following ‘279mm rain fell in 1 day in 1955. This UK record lasted for 54 years, till 316mm fell in 2009. Just 6 years later 341mm falls.’ Cumbria has now been hit by huge storms in 2006, 2009 and now in 2015. Each of those events was a 1 in a 100 + flood event – three such events in less than a decade. That is just Cumbria – we mustn’t forget the Somerset Levels events in 2013-14 and those all along the Thames in the same year, then there was Gloucester, York, Boscastle etc etc. This is what the Hadley Centre for Climate Prediction and Research (part of the Met Office) have modelled regarding climate change predictions in the UK. Ironic perhaps that Storm Desmond should occur whilst the International Climate Change Talks in Paris (COP21) are in full flow. Let us hope that these negotiations are successful and effective. We already have seen 1 degree of global warming since the Industrial Revolution – all the science says that we must keep future changes below 2 degrees (i.e. 1 degree more than where we are now). What can we do to better protect places and people? The National Trust has set out its concerns along with some of the adaptation solutions we are trialling in its recent document Forecast Changeable. Click here to download the report. For example there is a short summary of the work that has been carried out on the Holnicote Estate on Exmoor – which aims to demonstrate that by working at a catchment scale and changing some land management practices, a natural approach to flood management can be achieved while producing wider environmental and community benefits. See here, here and here for more details of the project. 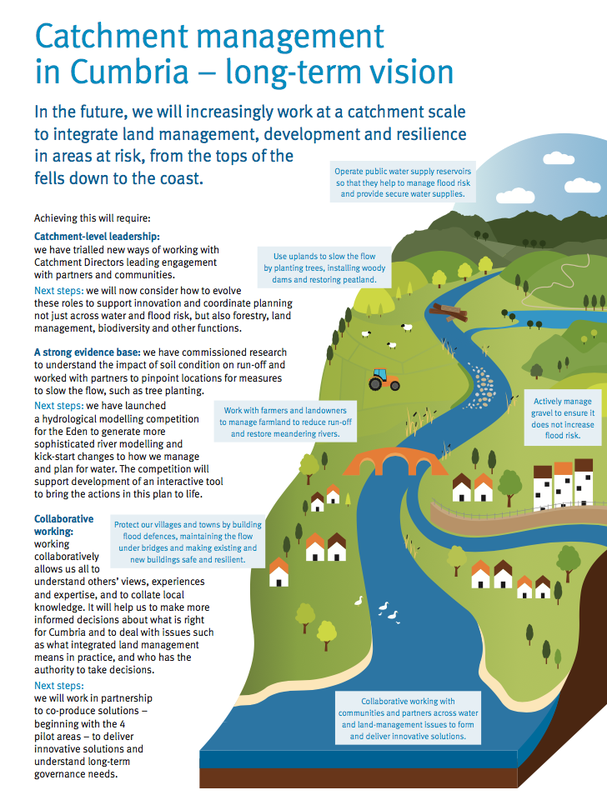 WWF has also produced a report Slowing the Flow – a natural solution to flooding problems – download it here. Professor Steve Ormerod (who is also the Chair of RSPB) and Edward Maltby have produced a useful review of the benefits of rivers and wetlands in managing floods and other environmental services. You can download the chapter here. So here are two projects and a review document which advocate ‘upstream’ management to try and reduce / eliminate flooding. So why have I picked on these and not talked about building flood defences and dredging rivers? There is increasing concern in many circles now that the way that we are managing our catchments and rivers is actually aggravating the problems we face from rain storms. Many catchments are now either denuded of vegetation (are in arable cultivation), have compacted soils (either from stock or agricultural machinery) or have short uniform vegetation (e.g. the uplands of much of Britain). These three factors ensure that any storm water which hits them travels very quickly into water courses (i.e. they are not absorbed by the soil) and then into rivers which have been straightened, deepened and dredged. The water then travels very quickly until it reaches an obstacle such as a bridge or a town – at which point the banks breach and flood defences are overtopped and flooding such as we have just witnessed in Carlisle occurs. Projects such as the Holnicote one on Exmoor aims to achieve the opposite – that is hold and absorb as much of the storm water in the upper catchment for as long as possible. Interestingly some habitat types are much better at absorbing water than others, for example maize fields (especially those on slopes) are terrible at it and I have written about this before – see here and here. Other habitats such as woodland on the other hand are very good at it. Research carried out in Upland Wales found that areas planted up with trees were 67 times better at absorbing water when compared to grazed pastures. See here and here. Encouraging therefore to report that during the Commons debate on the flooding in northern Britain and Southern Scotland earlier in the week that Anne-Marie Trevelyan, a Conservative MP who represents Berwick-upon-Tweed, said that more trees should be planted on high land to reduce the risk of flooding. Liz Truss, the Environment Secretary responded by saying that this is an issue the government is considering. Depressing though to hear Meurig Raymond, President of the National Farmers Union on the Today programme yesterday, basically saying that more money was need to dredge rivers, channel maintenance and hard infrastructure. He was completely unprepared to countenance upstream management solutions. He seemed to be arguing that farming was so important in the uplands that it couldn’t be altered to incorporate upstream management considerations. You can listen to the interview with Meurig Raymond and George Monbiot here and then draw your own conclusions. This debate has got a long way to run and to be honest it is not an ‘either / or’ situation, however the status quo simply won’t work and has been shown not to work. What does all this mean for Dartmoor? 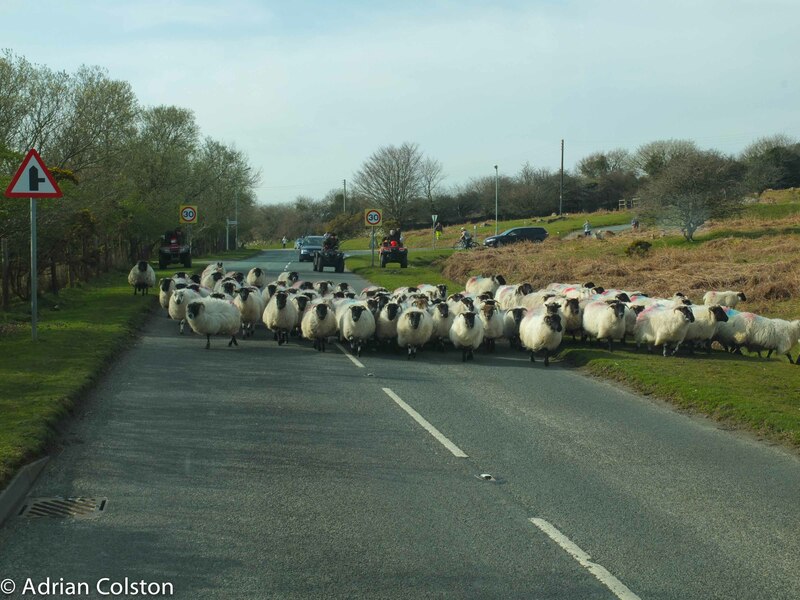 This debate isn’t of course just about the Lake District – this could have happened on Dartmoor. At some point in the future a big storm will hit the West Country – maybe the rainfall won’t be as huge as in the Lake District because the Tors aren’t as high as the mountains but who knows. Land use on Dartmoor is pretty much identical to the Lakes and the woodlands that exist are largely restricted to the river valleys. The debate therefore about upstream solutions to flooding are very relevant to Dartmoor too. My blog about changes in the vegetation in the Upper Plym (see here) shows that in recent years the moor has become less resilient and less able to hold back the water. 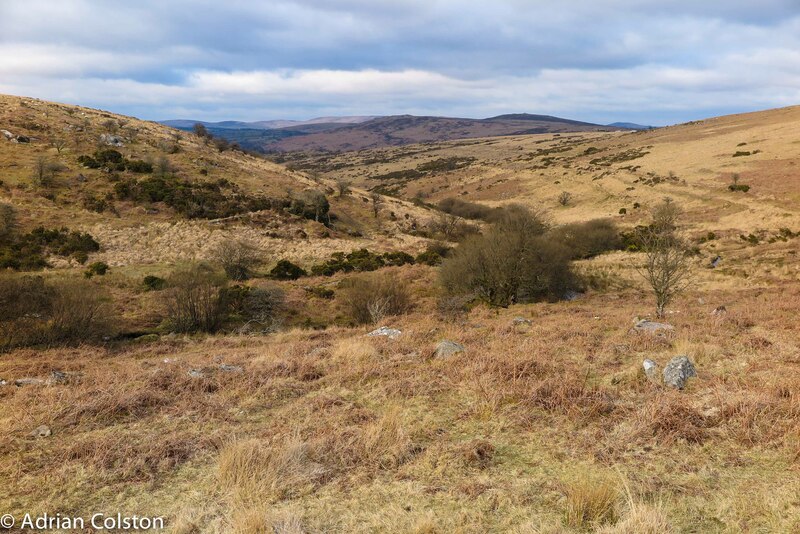 There has been some upstream work on Dartmoor via the Dartmoor Mires Project but at this stage it has only covered a tiny area of the moor, was considered controversial by some, is currently being reviewed and any future works are not funded. This type of project needs to shoot up the agenda on Dartmoor. We shouldn’t also forget that there are a lot of towns around the fringes of the moor located next to moorland rivers. As in the Lake District the first major pinch point for rivers in spate are these towns. Lots to thinks about and lots to do. 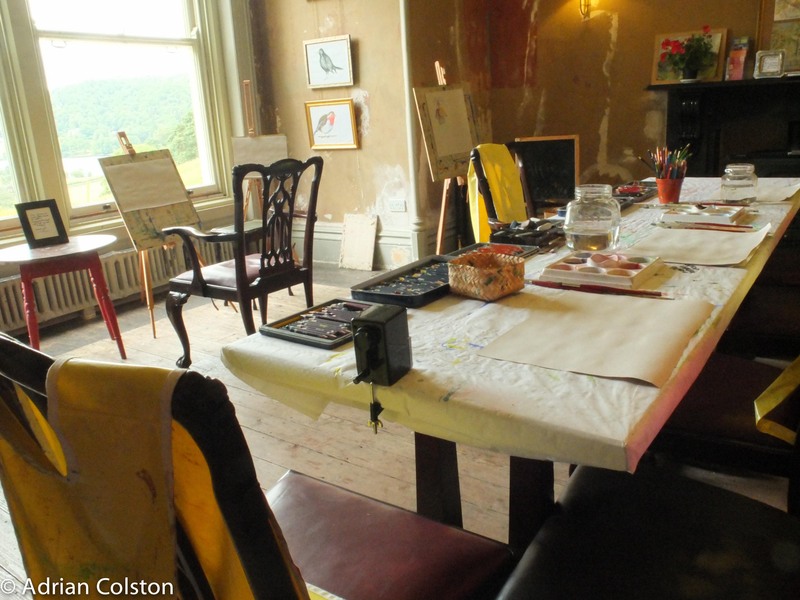 On our recent trip ‘up north’ we dropped in at Allan Bank in Grasmere. Now I am well aware that sharing one’s holiday photos is fraught with disaster …. but bear with me on this one there is a point to it! This National Trust property is littered with history – building a new house and blocking someone’s view, the home to one of our greatest poets and his literary friends, the spiritual home to the NT itself and the opening up of the place after a nearly catastrophic fire. Allan Bank was built in 1805-08 by John Crump and by doing so he ‘ruined’ the view for William Wordsworth who lived just down the road in Dove Cottage. Wordsworth called the house as it was built ‘a temple of abomination’! In 1808 the Wordsworths moved into Allan Bank and by all accounts he warmed a little to the building. Wordsworth lived there for many years hosted other 17th century luminaries such as Coleridge and De Quincy. 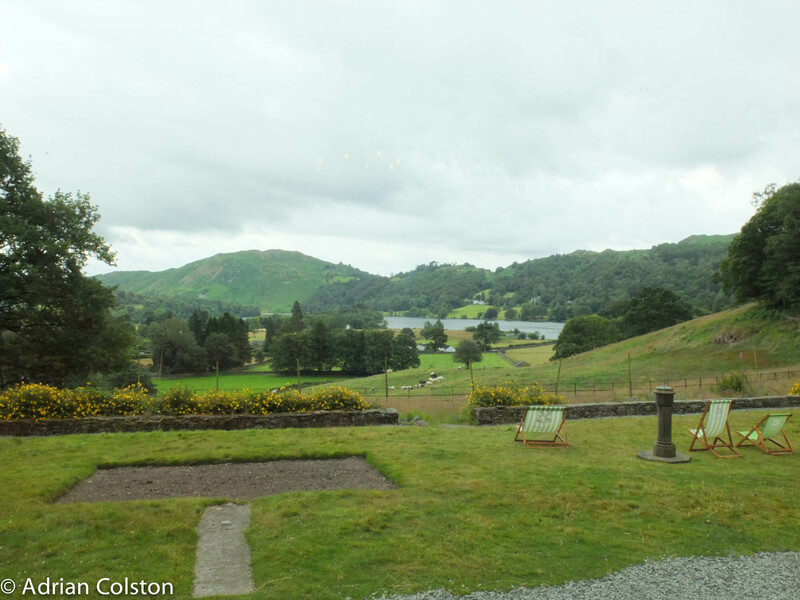 Later in its history Canon Rawnsley moved in and in 1895 formed the National Trust with Octavia Hill and Robert Hunter – part of their reason for this was the proposed sale of an island in Grasmere. 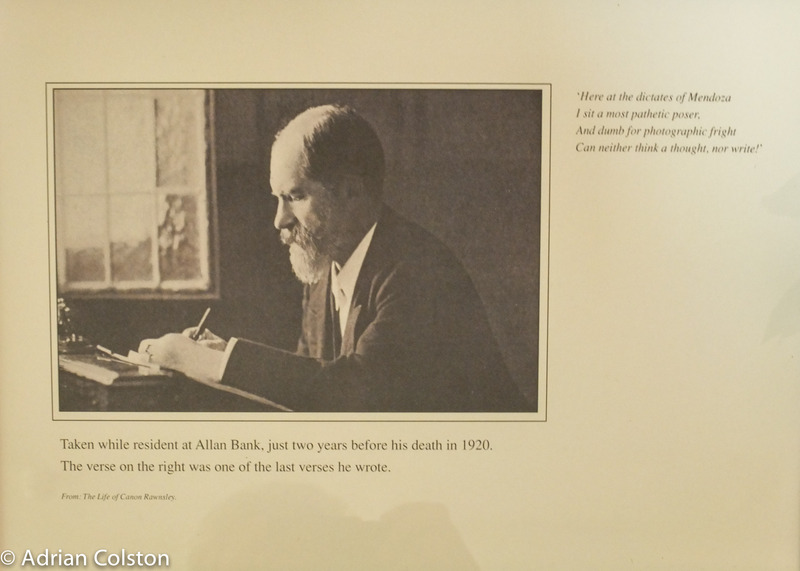 upon his death Rawnsley bequeathed Allan Bank to the National Trust. His wife Eleanor lived there until 1951. The house then became a family home providing no access to the public but in 2010 the NT carried out a major building project to upgrade the roof and the wiring only for this to be unravelled by an extensive fire in 2011 (I remember hearing about this on the news at the time). 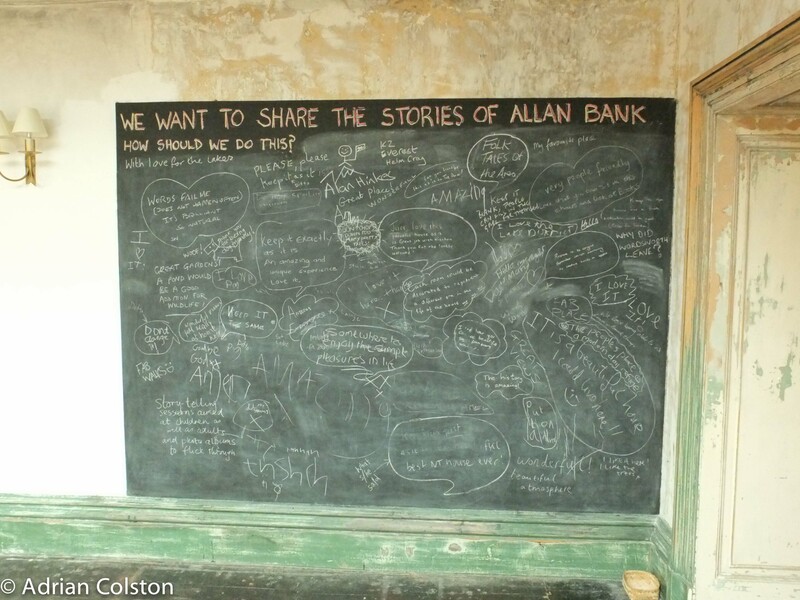 In 2012 the Trust opened Allan Bank to the public for the first time and it was done in a way that was very un-Trust-like – ‘it is warm and homely despite being left with the bare bones showing’. 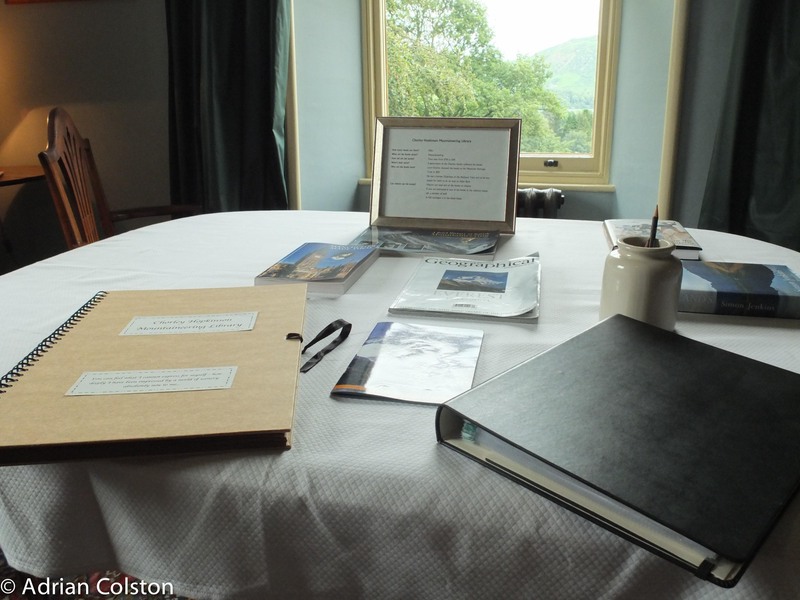 You can read a fuller account of the Allan Bank story on the Grasmere Village blog here. 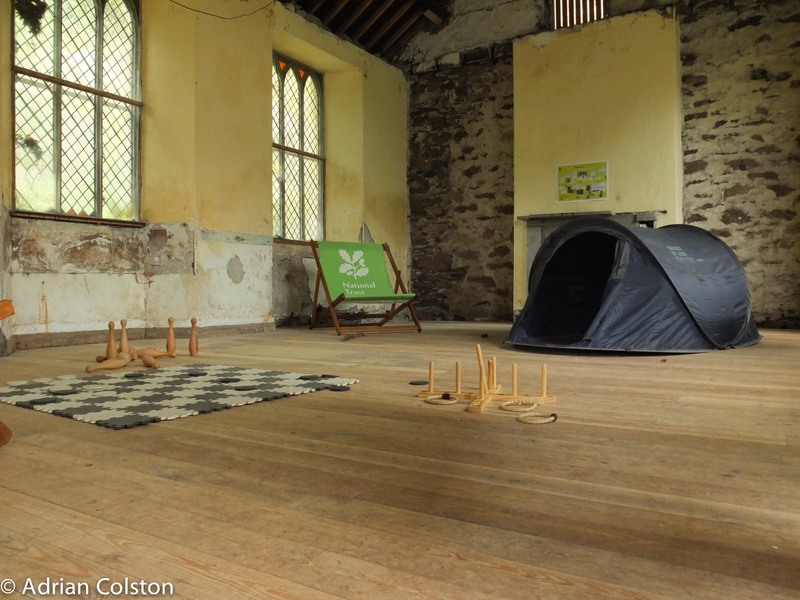 The billiard room looks like a chapel and is now home to ‘50 Things to do before yo are 11 3/4! 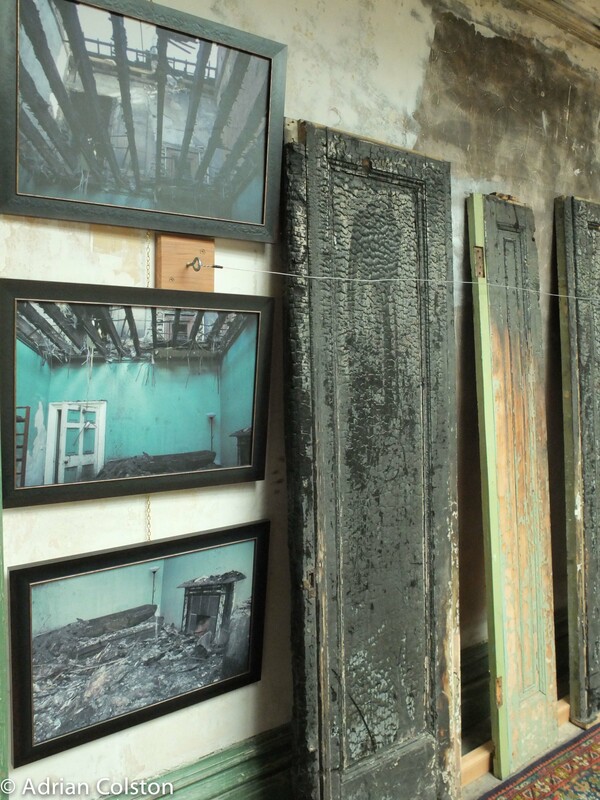 Evidence of the 2011 fire has not been hidden away. Had the Trust decided not to re-open the property until all the damage had been completely repaired it may never have opened! 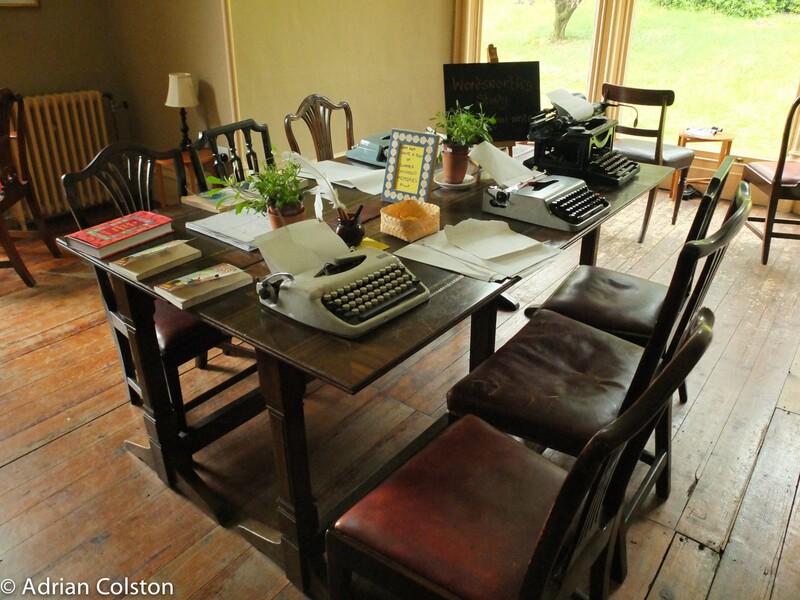 A room for typing and writing – bring on the next Wordsworth. Each room has a theme. Allan Bank is also home to the Hopkinson and Chorley Mountaineering library. Rawnsley reluctantly poses for a photo! 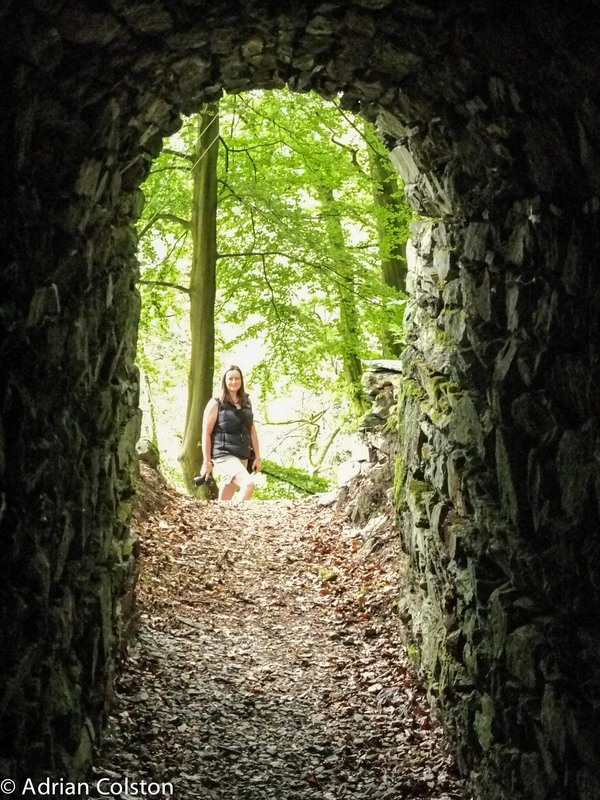 I can really recommend Allan Bank as a place to visit if you are ever up in the Lake District – it is a unique experience and one I don’t think you will be disappointed by. Recommend it too if you work for the Trust as well – lots to learn from here. During my trip to the Scottish Highlands and the Lake District I managed to take some photos of some insects I have never seen before. 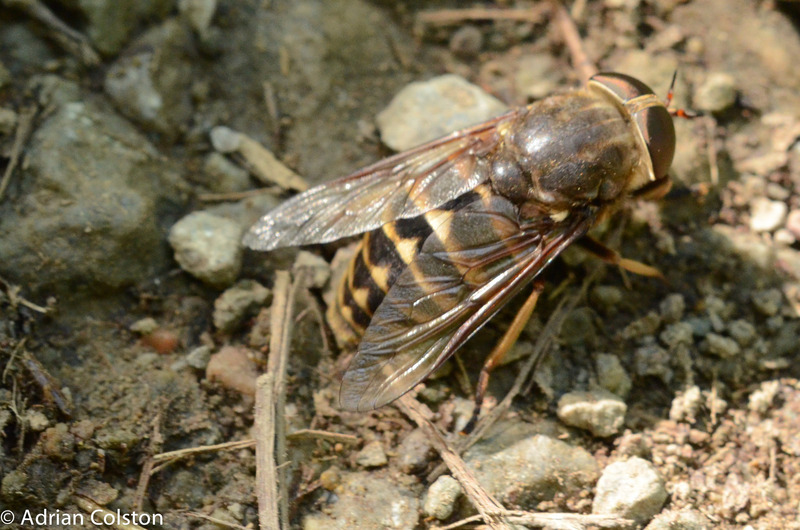 This is the dark giant horsefly Tabanus sudeticus – a female nearly an inch long! Fortunately it prefers the blood of cattle and horses to people. Saw one individual at Castle Urquart on Loch Ness and this one was taken on the National Trust property Aira Falls beside Ullswater. It has been recorded in Devon and on Dartmoor but I have never seen it. 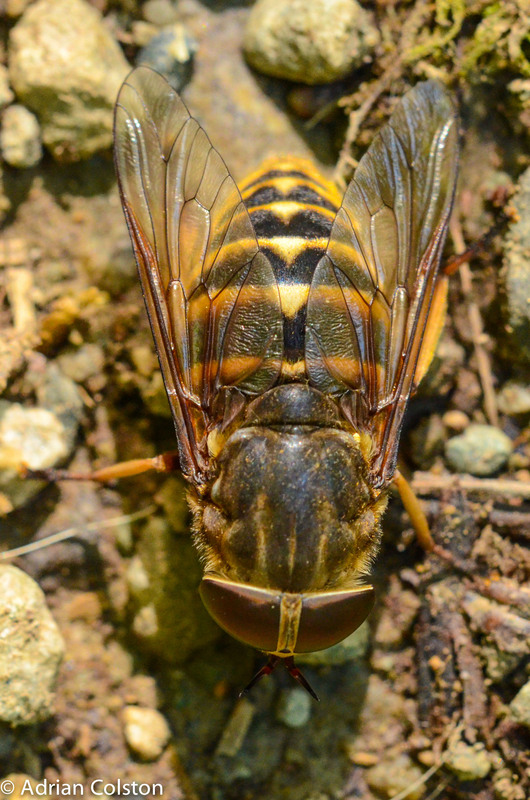 You might also be interested in Matthew Oates’ article on biting flies – see here! 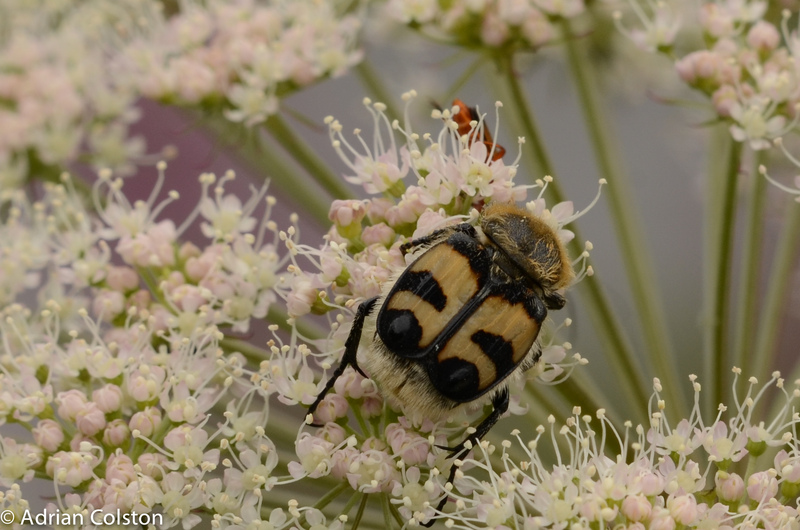 Second up is a beetle – one of the chafers Trichius fasciatus – known also as the bee beetle or bee chafer. Its one of those animals you see in the books because it is so spectacular – finally I have seen one in the wild. Saw it at Loch Achilty, north west of Inverness in the Highlands. A Forestry Commission site. 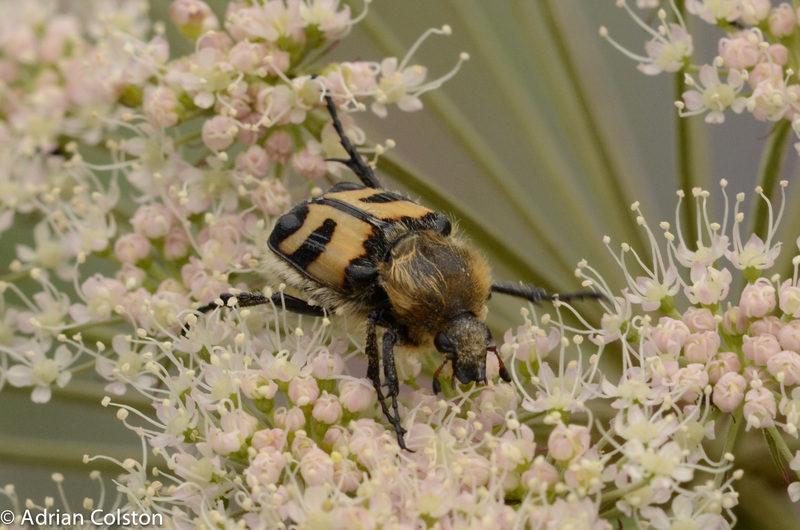 A really striking beetle with long brown hairs on the thorax. Only really recorded in the UK in the Highlands and Wales. 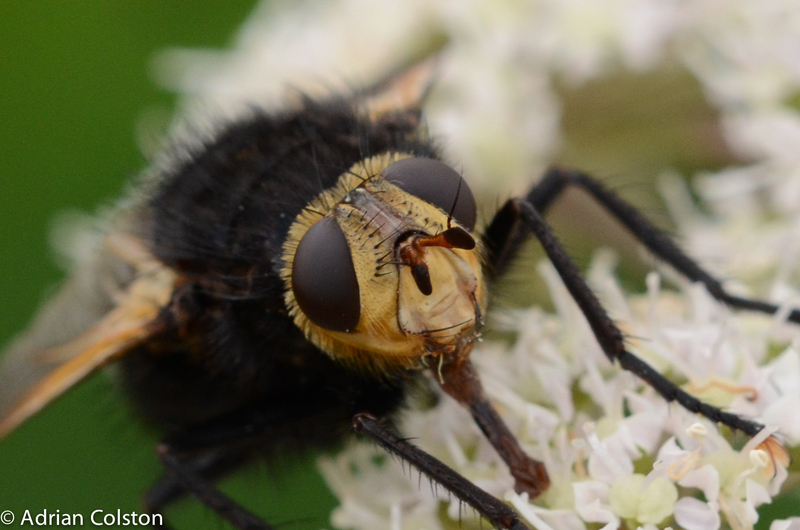 Finally another fly and another big species – its called Tachina grossa – or the yellow faced fly. It is very striking and large – nearly 3/4 inch long. The female lays here eggs on the larvae of other insect larvae – often an oak eggar moth – which the hatched maggots then devour and kill! 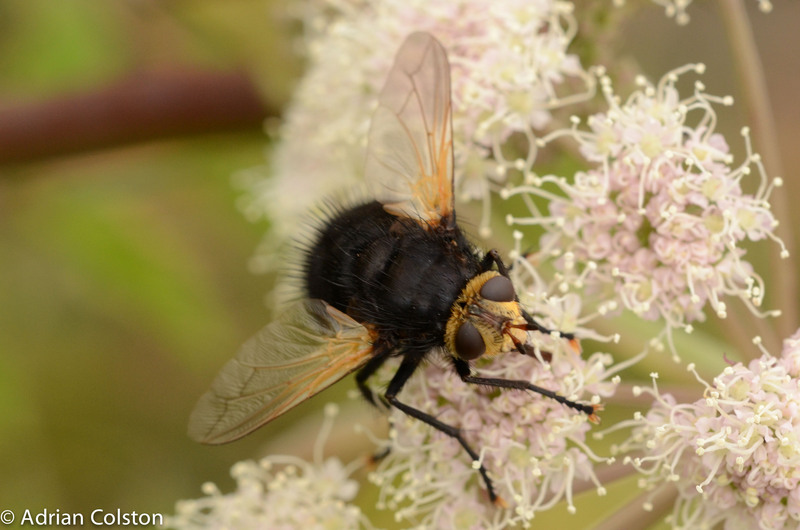 A more cosmopolitan species – again on Devon and Dartmoor – one to look out for – unmistakable. I haven’t managed to blog over the weekend because I’ve been up in the Lake District on an open water swimming workshop. I’ve always been a pretty poor swimmer – I can swim quite a long way but I’m very slow. As a result I went on this swimming camp with my partner Caroline (who is a strong and excellent swimmer) to try and improve. The course was organised by Adam Walker who is a legendary sea swimmer who is currently swimming the toughest seven ocean crossings (one to go – Scotland to Ireland!) – see here. A great weekend – my stroke has been completely re-engineered! Wonder what my next challenge will be?……..
Hopefully I will have some video later in the week to demonstrate this. 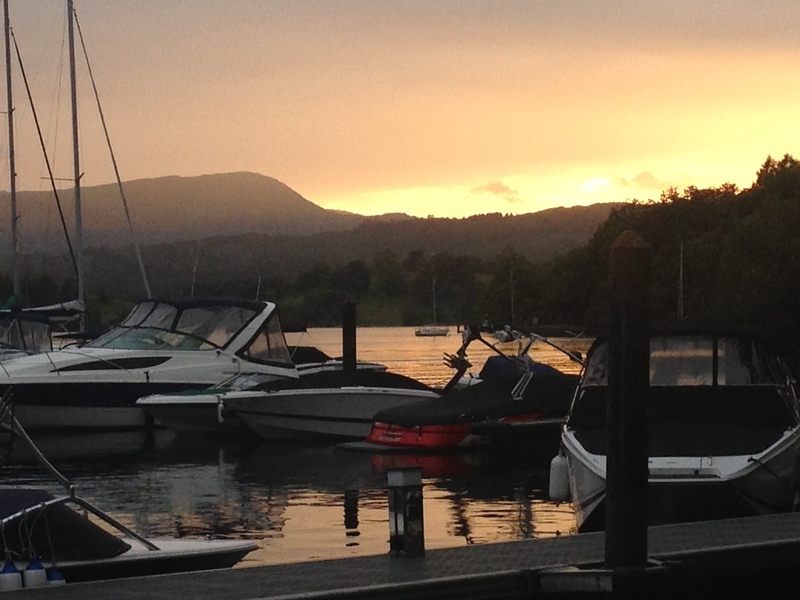 In the meantime all I have is an iPhone picture of the sun setting over Windermere!.